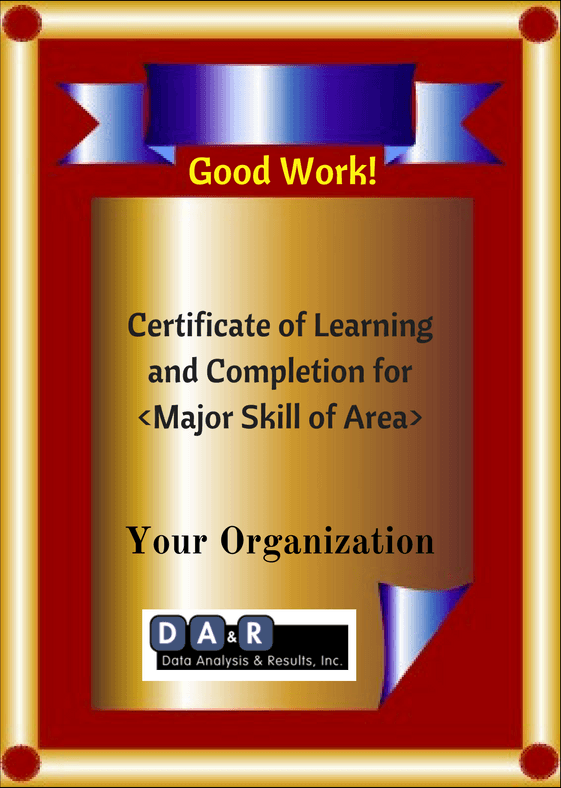 Knocking the Stupid out of Certification Training Risks & Rewards | Read Blog | Data Analysis & Results, Inc. If you are a job seeker in a specialty that rewards certification, the answer is clear. Read below for how to get Project Management and Business Analysis certifications. If you are an employer the choice is not so clear for two reasons… They may not be what you think! Employers read on for a fresh perspective on two considerations for you to work through… Reward and Risk. and how to frame your decision. Certification based training has two main rewards, one for your employee and one for your organization. If you set up formal recognitions for taking training and a financial reward for certifying, people are more likely to attend, pay attention, and leverage the best practices they will learn. 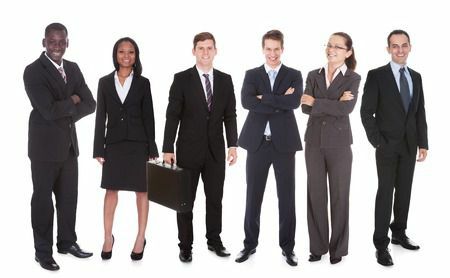 It is great to take care of your employees and help them grow in their career. As they up their game using what they learned your organization will get better performance. Another blog will cover how to set up your program for high leverage. One Risk is if your salary structure does not recognize certifications. You may experience attrition as a direct result of credentialing your employees. If your salary structure has ‘Golden Handcuffs’ or is at least in the mid-range of certificants in your area, you will probably be ok. Otherwise, good change management would be to increase your salary bands for certificants. Another Risk is more subtle… No matter how good your processes and people, no matter how appropriate the level of detail or control, certification training will open areas where improvement is possible. If the gap is big, your people may come back from training disgruntled or worse! If your people feel they were sent to learn best practices yet when they return no change happens, they may get discouraged. They now know that there are proven best practices that could work in their organization yet they can get no traction toward improvements. So unless you are ready to sponsor, manage, and actually change your organization, at least to some extent, you may be better off setting up an Internal Certification. Internal Certifications can mitigate a good portion of both these Risks. They can be the best of both worlds for the organization, yet still add benefit to your employees. Benefits include highlighting the type of behaviors you want to change with the training, pre-work, and follow up meetings and specific assignments to update processes for the better. The recognition can be higher and some of our clients even link their Internal Certification to enable promotions, bonuses, or raises. Let's discuss how to set up an attainable, yet challenging and productivity enhancing, Internal Certification that benefits both your organization and your people. Have you been thinking that your organization could do better? Not sure where to begin?